What preschool program do you want to enrol your child in? When my kids were entering pre-school some seven to nine years ago, our options were limited to deciding if we wanted a English-based or Mandarin-based curriculum and whether it is a religious or secular kindergarten. These days, there are so many more curriculum options available for parents to choose from. Coupled with the fact that some schools combine or integrate the curriculums to differentiate their schools in the market makes the decision to choose a preschool for your child a more bewildering one. In this post, I have compiled a list of the preschool curriculums available these days for you to browse through and see which curriculum suits your little one best. There are too many schools for me to list out, so I have only listed some to help you get started. Kindergartens with this focus offers within its programmes both academic and arts education in music, art and dance such as piano and violin, languages, speech and drama, positive focus and visual arts performances. In Singapore, NAFA Arts Kindergarten is the first and only Arts Kindergarten and is the “junior extension” of the Nanyang Academy of Fine Arts. Reggio-inspired curriculum is flexible and emerges from children’s ideas, thoughts and observations. The Reggio Emilia Approach is an innovative and inspiring approach to early childhood education which values the child as strong, capable and resilient; rich with wonder and knowledge. The Reggio goal is to cultivate within children a lifelong passion for learning and exploration. Click HERE to read more about the Reggio Emilia principles. Waldorf Steiner education is a child-centered approach that aims to educate the mind, body and spirit at the appropriate developmental stages. The Waldorf (Steiner) curriculum is designed to meet the intellectual, emotional and physical stages of development throughout childhood. Academic excellence and creative thinking are achieved in a supportive environment. Learning at a Waldorf Steiner School is a dynamic process, engaging the child’s imagination and initiative. Art, movement and music are woven into daily academic studies. (source: Waldorf Singapore). Who offers this curriculum: Currently, George Washington Preschool Singapore seems to be the only school to offer this curriculum, although White Lodge Kindergartens have incorporated some elements of it into its curriculum. Learning Vision has a similar approach with the belief that the child is the protagonist, the teacher facilitates the learning and the focus is on the process of the learning rather than outcome. This curriculum follows the child’s natural curiosity with the teachers practicing best practices in early childhood education to promote children’s optimal learning and development. Children thrive in this highly innovative, stimulating and purpose-built environment specially designed to bring out each child’s potential. – Play is the most natural way for young children to learn. lots of art and craft (yes, even for the very youngest ones), music, stories, puppets, drama, dance, playtime, cooking (and eating!) physical games, nature exploration, sand play, water play, sensory and inquiry based learning – but the emphasis is always on having fun and building on those very important life skills like sharing, caring and independence rather than a demanding curriculum – simply, let them be children! Research has shown that everyone has 8 intelligences. These 8 intelligences are made up of logical mathematical, linguistic, spatial, musical, interpersonal, intrapersonal, bodily kinesthetic and naturalistic. Hence, this curriculum recognizes that each child is unique and aims to fortify and nurture the child’s natural talents. There schools offer full or 70% Mandarin immersion programmes in their curriculum. This type of curriculum is popular among parents who want to impart a love of the language in their children. Initiated by MindChamps, this curriculum brings together cutting-edge research and development from the four domains of Early Childhood Education, Neuroscience, Child Psychology and Theatre. The teachers and staff take a pro-active role in nurturing your child to be a champion learner as well as facilitating the transition of kindergarten-level children from pre-school to Primary School. If you are not yet sure if your child is going into a local education system or international one, schools like Pat’s School House or Rosemount Kindergarten may be a good match in that they offer your child the preparation for local schools yet have the nurturing environment of an international education. 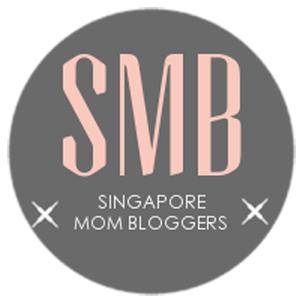 If you are only looking for international schools or a pre-school that has more expat influences, these posts by honeycombers Singapore or Sassymama’s Ultimate Guide To The Best Preschools in Singapore have a range of such schools that fit your bill. This post by Expat Living with parent’s reviews of the schools their children attend will also be helpful to make your decision on your child’s preschool choices. I wish you the best of luck in finding the right school for your little one. Do drop us a note if you find this post helpful or share with us your thoughts on any of the curriculum. I always enjoy hearing from you.